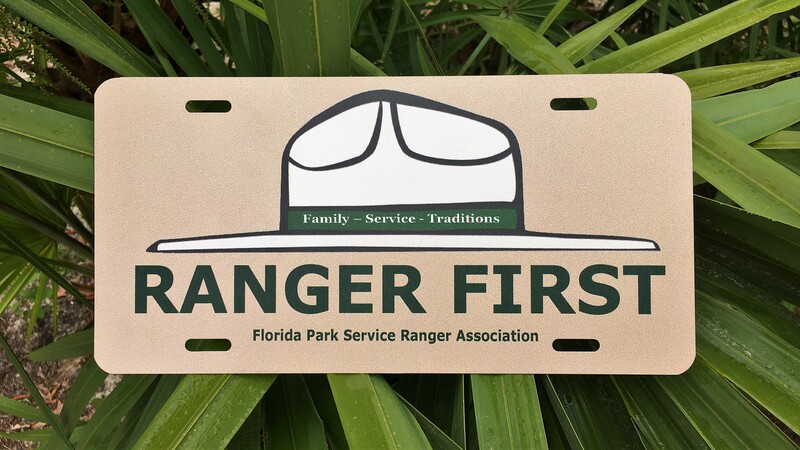 Welcome to the Florida Park Service Ranger Association Online Store. Please support our efforts to help Park Rangers in need through the James Cook Memorial Humanitarian Relief Fund. 100% of the proceeds of merchandise sales goes to support the James Cook Memorial Humanitarian Relief Fund. "RANGER FIRST" t-shirts were available for bulk purchase (only by park) in early December 2018 and a limited number of shirts were available for individual purchase but those shirts are now sold out. Merchandise is provided for sale at the FPSRA Annual Gathering in April and the FPS Family Fun Day in November. Join us at one of those events and have lots of fund plus see the FPSRA merchandise that's available. 100 "RANGER FIRST" shirts were graciously donated by Monogram Art in Tallahassee which raised $2,000 for the James Cook Memorial Humanitarian Relief Fund. Thank you Monogram Art!